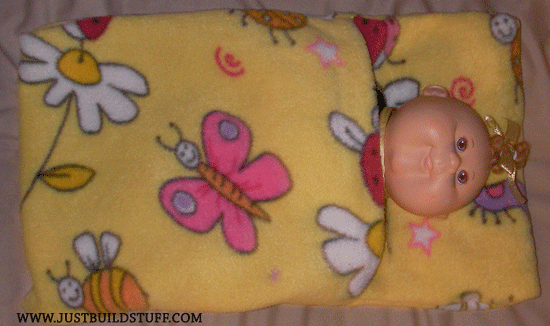 My daughter’s dolly needed a warm place to sleep, so we went to our scrap fabric drawer and pulled out a scrap of fleece with a fun pattern larger enough to fit the doll. 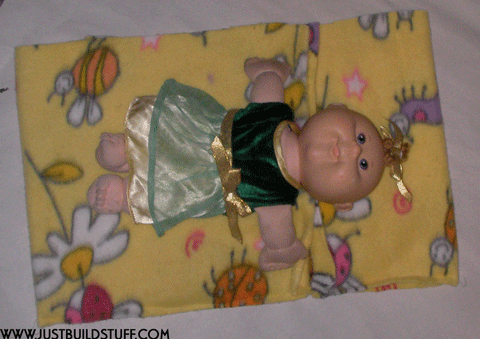 We placed Anna (the doll’s name) on the fabric and sized it to her. You can see below that we folded the fabric to create a bag on the bottom for the doll to sleep in and into a space for a pillow on the top. 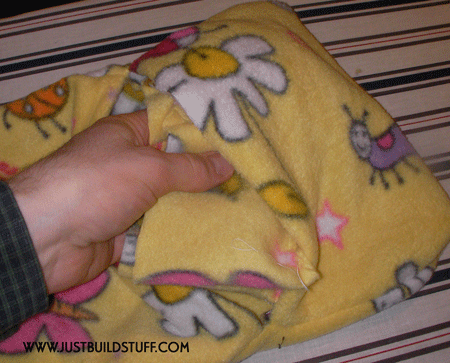 Now make sure that the fabric is inside out and all the edges are straight with the openings folded over approximately 1/4 inch. Now it’s time to dig out the sewing machine. (I don’t have much of a sewing machine, but it gets the job done. 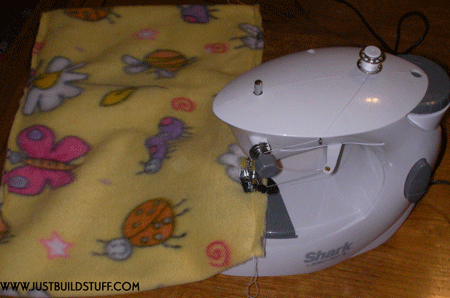 It’s a Shark Mini Sewing Machine and they cost around $20.) 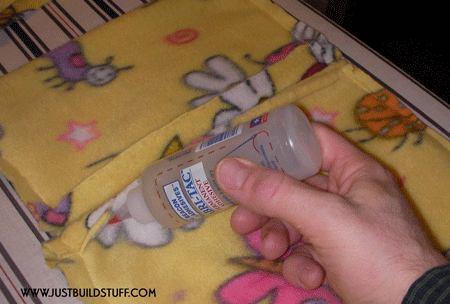 Sew each side of the sleeping bag two times for a little extra stregth. Next I used fabric glue to glue the lip down. We then flipped the sleeping bag right side out and commenced to stuff the pillow area with some excess fabric in order to make a fluffier pillow. Finally we glued the seams of the pillow area together the same way that we glued the lip on the other side and the dolly had a warm place to sleep. 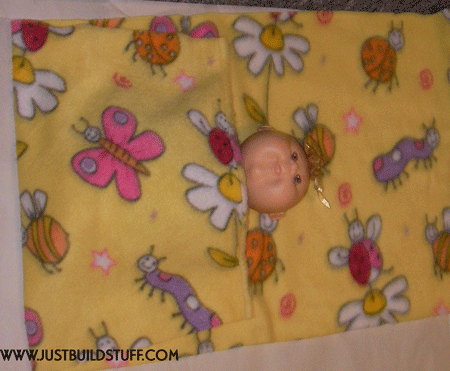 2 Comments on "How to Make a Doll Sleeping Bag"
I’m a first time sewer and this doll sleeping bag will be my first project. 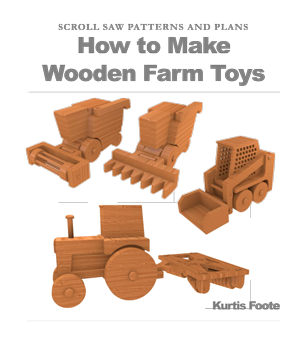 I’m going to downsize it for Barbie Dolls and line the bags. I appreciate the photos and details, so helpful. Did you stuff the pillow portion of the sleeping bags? And if so, did you glue the pillow shut or stitch it closed? I stuffed the pillow with my fleece trimmings and glued the pillow shut. Good luck with your project! Let us know how it goes.